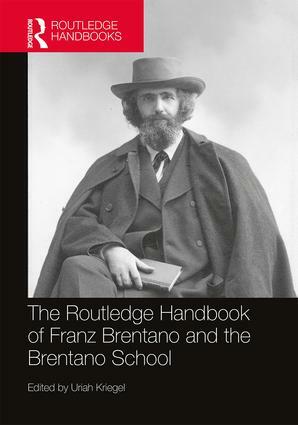 For those who follow Franz Brentano’s (1838-1917) published work in English, it is not surprising that Routledge is the publishing house editing the volume under review, The Routledge Handbook of Franz Brentano and the Brentano School (2017). Back in 2006 Routledge provided us with a translation of Descriptive Psychology (1982), having published in 2009 four other volumes under its series “Routledge Revivals”: The Origin of Our Knowledge of Right and Wrong (1889); The Foundation and Construction of Ethics (1952); The True and the Evident (1930); Philosophical Investigations on Time, Space, and the Continuum (1976). The series aimed to provide access to long-awaited book titles that have not been available to the English-speaking reader up to now. In 2014, it added to its string of publications on Brentano Psychology from An Empirical Standpoint (1874). Brentano, having passed away in 1917, had only a portion of his work published during his lifetime. As Kriegel states in his Introduction, Brentano was not a systematic writer, but he was a systematic thinker (21). English translations of the above-named books appeared much later than the German editions. 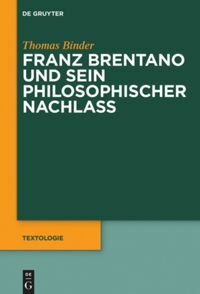 This means that English-speaking audiences interested in Brentano’s work have been deprived of a user-friendly access to the philosopher, his work mainly having been available to specialists who possess mastery of the German language. The situation has contributed significantly to a lack of references and research on Brentano when compared to the many he has strongly influenced, among them, Edmund Husserl (1859-1938), Sigmund Freud (1856-1939), Rudolf Steiner (1861-1925), Alexius Meinong (1853-1920), Carl Stumpf (1848-1936) and Martin Heidegger (1889-1976). But as Thomas Binder claims, even when it comes to Brentano’s many original manuscripts, a critical edition of his works is needed, being the most indispensable instrument for all future research (20). Due to the English-language reader’s delayed access to Brentano’s work, Routledge’s Handbook is timely and welcome. A similar edited volume was published back in 2004, entitled The Cambridge Companion to Brentano, edited by Dale Jacquette (1953-2016), Professor for many years at Pennsylvania State University (USA) and later on at the University of Bern (Switzerland). That book featured thirteen chapters. The reference to Jacquette is pertinent because the current Handbook’s editor, Uriah Kriegel, pays homage to him by closing the book with a contribution by Jacquette himself — as if meaning to close the book with a tribute but also leaving it open for those who will develop research on Brentano in the future. Routledge’s publication of six of Brentano’s works since 2004 aims to have an impact on research of the philosopher, and the current Handbook confirms the intention further, providing encouragement to those who seek an orientation on how to approach the philosopher’s work. Featuring more than thirty contributors, the volume aims to give an updated perspective of Brentano’s current relevance. An option that should be praised is the fact that the Handbook is not exclusively about Brentano but also about the Brentano School. The Handbook features two parts. 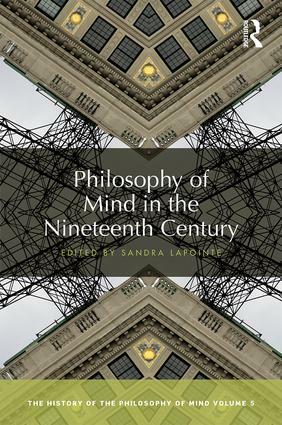 Part I is dedicated to Brentano’s work, having three sections (Mind, Metaphysics and Value) underlining the philosopher’s significance for philosophy of mind, metaphysics, and moral philosophy. Part II focuses on the Brentano School, both his students and those he has influenced, making us aware that his work is relevant for understanding the roots of many other thinkers that came afterwards. An additional good option taken by Kriegel is to open the Handbook with two chapters giving an overview of Brentano’s life and philosophy. One takes a biographical approach authored by Thomas Binder, Supervisor of Brentano’s Archives at the University of Graz (Austria). And a second one, by Kriegel himself (Professor of Philosophy and Cognitive Science and Associate Director of the Center for Consciousness Studies, at the University of Arizona, USA) delivers a summary of Brentano’s philosophical program. In Kriegel’s words, “the basic idea behind Brentano’s program is that there are three distinctive types of mental act that proprietarily target the true, the good, and the beautiful…. [T]he true is that which it is correct, or fitting, or appropriate to believe; the good is that which it is correct/fitting to love or like or approve of; and the beautiful is that with which it is correct/fitting to be delighted” (21). Both Brentano’s thesis (1862) and habilitation (1867) were on Aristotle and the philosopher was a main influence in his work. Part I approaches several main concepts present throughout his work like intentionality, consciousness, the senses, judgement, emotions, will, time and space, truth, reality, and ethics. These are known to have strongly influenced Edmund Husserl, known for being the founder of phenomenology. Husserl was indeed Brentano’s student, having first taken a course with him in 1884, at 25 years old. At the time, Husserl was a mathematics student taking a minor in Philosophy, who decided to go deeper in his philosophy studies. He chose to attend courses lectured by the much talked-about philosopher, Brentano. In the words of Rollinger, also a Handbook contributor, “[w]hat began as a mere curiosity became a great enthusiasm” (Rollinger 1999: 16). Kriegel’s Introduction elegantly presents us each of the book’s 38 chapters, providing the reader with a clear vision of the volume’s content. It is particularly useful not only because it allows us to be aware of the main concepts at stake but also because it describes the flow and links between each chapter, providing a sense of unity to the sizeable number of contributions. 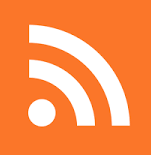 In what follows, I summarize the content featured in Part I (Chapters 3-24). 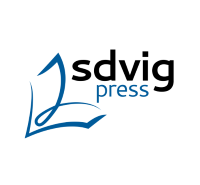 Denis Seron (University of Liege, Belgium) authors the first chapter of the first section, which is dedicated to philosophy of mind (Chapters 3-12). In this chapter he presents Brentano’s most famous work, Psychology from an Empirical Standpoint (1874), where he establishes that the foundation for a scientific approach to psychology is empirical. By empirical, Brentano understands a “purely phenomenal science,” i.e. a science whose objects are not substances but phenomena. This perspective is a powerful statement in the realm of ontology, one that sets the tone for what is now clearly acknowledged as Brentano’s aim of conceptualizing a big system. Psychology, instead of being the science of mental substances (the soul) should be understood as the “science of mental phenomena.” Brentano laid down powerful epistemological principles claiming that science should dispense metaphysical assumptions that there are substances that underlie the phenomena we witness. It is based on this that he favors descriptive psychology. Psychology has two branches, “physiological psychology” and “descriptive psychology.” The first he would name “genetic psychology” and this approach explains mental phenomena, referring to physiological processes. “Descriptive psychology” precedes “genetic psychology” in the sense that it describes the phenomena that are in need of explanation, providing also a classification. According to Brentano, in order to reflect upon a given subject it is first necessary to establish the terms in which the subject will be discussed and agree upon which concepts will be used. Following this perspective, the first section of the volume under review presents the main concepts founding the philosopher’s epistemology. The main concepts of Brentano’s system are presented in the following sequence: intentionality, consciousness (also its unity and relation with time), sensations and sensory qualities, classification of mental phenomena, judgement, emotion and will, and self-knowledge. Intentionality, addressed by Tim Crane (Central European University, Hungary), is the most peculiar feature of mental phenomena. Brentano uses the concept as a point of reference, classifying kinds and modes of intentionality, and this chapter portrays how the concept has evolved throughout his work. 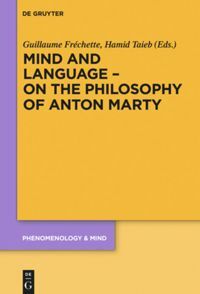 Mark Textor (King’s College London, UK) examines the concept of consciousness, which stems from Brentano’s classification of intentionality in two kinds – “primary” directed at a worldly object and “secondary” directed at the self. The secondary kind will be key to Brentano’s theory of consciousness. 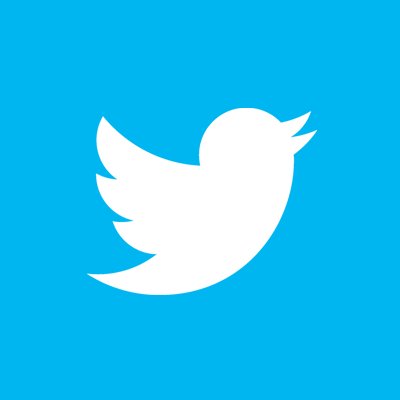 The scope of the philosopher’s understanding of consciousness is approached by Barry Dainton (University of Liverpool, UK), Guillaume Fréchette (University of Salzburg, Austria), and Olivier Massin (University of Zurich, Switzerland). These chapters develop how a unity of consciousness relates to unity at a time and how consciousness, inevitably, involves the passage of time. It is stated that Brentano struggled with this last idea and tried several different formulations in order to convey it. As for sensory consciousness, Brentano will claim that sensations are intentional, like all mental phenomena, which is a stark contrast with the prevailing view. Classification of mental phenomena is part of descriptive psychology and Kriegel guides us through its taxonomy. 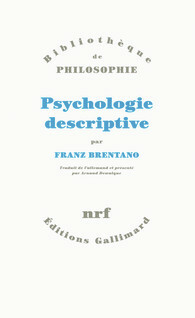 It is divided into three kinds: presentations, judgements and “phenomena of love and hate.” Claiming that judgement does not involve predication and does not have propositional content, Kriegel considers Brentano’s theory of judgement one of the most creative theories in the history of philosophy. Michelle Montague (The University of Texas at Austin, USA) accounts for the phenomena of love and hate, framed under the concepts of emotion and will. The idea is to explore how the range of mental phenomena that can go from one extreme to the other has a continuity embodying good or bad intention – evaluating corresponding objects accordingly. Closing the section on philosophy of mind, Gianfranco Soldati (Fribourg University, Switzerland) identifies three key theses that account for Brentano’s theory of self-knowledge. These are particularly relevant for those interested in the concept of Self. Section Two of Part I is dedicated to metaphysics (Chapters 13-19). Werner Sauer (University of Graz, Germany) develops a critical assessment of Brentano’s vital claim for reism: it is impossible to even contemplate, or represent to oneself, anything other than “things” in the relevant sense. This means that he endorses a monocategorial ontology where the only category of being is things. A theory of the soul is crafted by Susan Krantz Gabriel (Saint Anselm College, USA). Brentano identifies two kinds of things, physical and mental, the soul being a mental, immortal substance. Time and space are two basic elements of metaphysics, to which Brentano dedicated much of his attention in his last decade. These are related with substance, the nature of continuum, and the foundations of topology. Wojciech Żełaniec (University of Gdańsk, Poland) is the contributing author addressing this topic. Substances have determinations that allow one to recognize properties and relations among things. Properties are special parts of a thing (either metaphysical or logical), as Hamid Taieb (University of Geneva, Switzerland) shows us, while addressing Brentano’s ontology of relations. Johannes L. Brandl (University of Salzburg, Austria) draws on the nature of truth, a difficult concept, where the main idea at stake is the acquisition of the concept of truth. This follows another contribution by Seron who argues that when it comes to appearance and reality, the theory is the same as its theory of intentionality, meaning that appearances are the intentional objects of conscious experiences and vice versa. The section closes with Alessandro Salice’s (University College Cork, Ireland) chapter on negation and nonexistence. These concepts follow a similar logic to the one used to elaborate his theory of judgement but according to Salice’s critical appraisal the approach is ultimately frail and confusing. The closing section of Part I is dedicated to value theory (Chapters 20-24). Jonas Olson (Stockholm University, Sweden) argues the all-encompassing significance of Brentano’s metaethics and its relevance to the debates nowadays on key questions such as that of when we say that something is good, what exactly are we doing? While highlighting the philosopher’s relevance to contemporary debates, Lynn Pasquerella (Mount Holyoke College, USA) advocates viewing Brentano as favouring a pluralist consequentialism, i.e. things are instrumentally good when their consequences are intrinsically good. Wolfgang Huemer (University of Parma, Italy) discusses Brentano’s contribution to aesthetics, confirming its solid scientific foundations because again, his main concern was epistemological: he was more interested in defining the framework in which questions should be asked than in addressing aesthetic questions. The foundation was scientific psychology and not subjective speculation. Specifically, he did address the question of artistic genius and the role in art of fantasy and imagination. Ion Tănăsescu (Romanian Academy) reconstructs his view. Closing this section we are presented Brentano’s philosophy of religion in a chapter authored by Richard Schaefer (SUNY—Plattsburgh, USA). 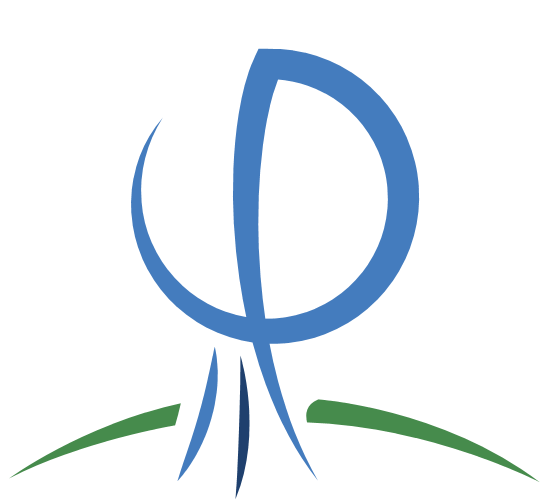 As an ordained Catholic priest who decided to leave the Church, he remained deeply religious. He was a rational theologian who subordinated theology to philosophy. Presenting four arguments for the existence of God, Brentano favours the one that appeals to probability theory. Husserl was not the only philosopher enthusiastic about Brentano. A similar feeling seems to have occurred for many who followed, and whose relation to Brentano is explored in the current book (Part II): Anton Marty (1847-1914), Carl Stumpf, Alexius Meinong, Christian von Ehrenfels (1859-1932), Kazimierz Twardowski (1866-1938) and Hugo Bergman (1883-1975), the Israeli philosopher who was a close friend of Franz Kafka (1883-1924). Also identified are the British psychologist and philosopher G.F. Stout (1860-1944), G.E. Moore (1873-1958), one of the founders of analytic philosophy, and American philosopher Roderick Chisholm (1916-1999). Brentano’s influence on other schools is also addressed: The Prague School, which focused on linguistics, philology, and literature; the Lvov-Warsaw School, established by Twardowski and key to Polish philosophy; and the Innsbruck School, which was mainly engaged in philosophy and psychology. All authors in this Handbook contribute successfully for the reader to be able to build a bridge between Brentano’s original work and that of his students. Part II aims to support evidence that Brentano’s School had a unified view, namely, that philosophy is continuous with the sciences, and that the science all philosophy depends upon is descriptive psychology. For many years now, Brentano has sparked curiosity mainly because of his influence on Husserl. Brentano is sometimes credited as the one who has laid the ground for phenomenology’s main concepts. Yet, a clear vision of what his work consists of has not been delivered. We are aware that as a renowned professor in his time, he influenced many, but his philosophical program has remained unclear. Only with this program in view we will be able to truly understand his philosophical insights and to evaluate the extent to which he has influenced others. In that sense, Routledge’s Handbook is a highly relevant resource and a significant step further in that direction. Furthermore, it is a clear and scientifically informed introduction to Brentano that invites us, with renewed confidence, to read the philosopher himself. Brentano seems to be a key figure for understanding better the prolific time that was the turn of the twentieth century and that, among many other movements, fostered the development of phenomenology and analytic philosophy, confirming that further research on his work is in order. 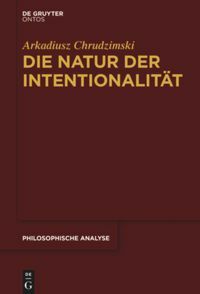 For those who wish to delve deeper into the philosopher’s work, the Handbook’s current editor Uriah Kriegel has authored a book titled Brentano’s Philosophical System: Mind, Being, Value (Oxford University Press, 2018), which develops the contents of Part I further, following a similar structure. Rollinger, Robin D. (1999). Husserl’s Position in the School of Brentano. Dordrecht: Springer.